Providing you the best range of industrial roof with effective & timely delivery. 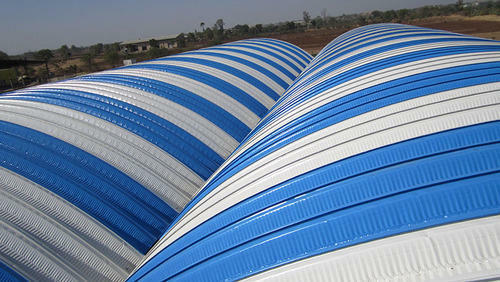 We offer wide range of color coated galvanized sheets, galvalume sheets, ideal for Industrial Roof. Manufactured using high-grade materials are also easy to assemble, dismantle and transport. It is a cost-effective solution for various industrial needs. We also manufacture as per clients drawing and designs.